The Mediterranean is no stranger to fun, beachfront resort towns, but while destinations just rely on booze and bikinis to lure tourist in, Bodrum offers much more for the traveler looking for both fun in the sun and a little culture at the same time. If the best of both worlds is what you seek then look to Bodrum in Turkey for holidays you can truly write (or email) home about! Bodrum is located in the far southwest of Turkey on the Bodrum Peninsula about 500 miles south of Istanbul. Its weather is pleasant all year round (February is the best). It’s pretty easy to reach via Bus from the big cities (Istanbul, Ankara, Izmir, etc) or via plane at Milas-Bodrum international airport 35 km from the city. Many low-cost airlines fly there from western Europe including The UK and The Netherlands. 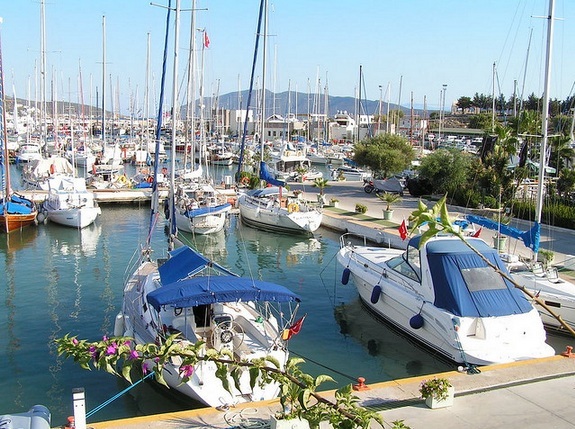 Bodrum is very popular with boaters with its large marina and yacht club. Many seafarers spend a night or two there to refuel, have a good meal, shop at the high-end supermarkets right off the dock and shake it at night at one of the many nightlife venues. The Marina is located on the west side of town. The east side of town is more known for the nicely maintained beach, bars and clubs that thump right on the waterfront all night long. 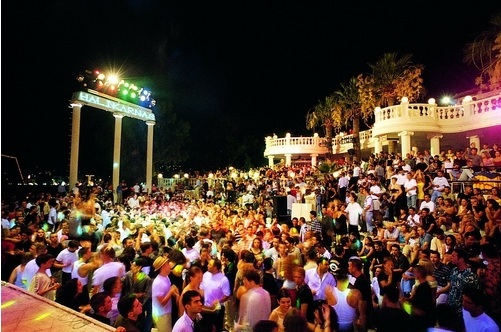 One of the biggest clubs in Europe is located in Bodrum as well, Halikarnas. If you’ve had enough sun, then check out the ancient city and explore thousands of years of history. One of the most popular sites in town is Bodrum Castle founded by the Knights of Hospitaller who originated in Jerusalem and were originally in charge of running a hospital for Christians on pilgrimages there. They then became a military order after the first crusade and were tasked with protecting the Holy Land. Bodrum Castle also now serves as Museum of Underwater Archaeology which houses an impressive collection of artifacts found beneath the water’s surface from shipwrecks and fallen cities. One other historical place in Bodrum that is especially famous is the former site of the Mausoleum at Halicarnassus (Tomb of Mausolus). It is one of the 7 wonders of the ancient world and was created for the Persian governor Mausolus, and both his wife and sister, Artemisia II of Caria. The structure stood 45 meters high (148 ft) but fell down during an earthquake. Now you can visit the remains of the tomb and learn a bit more of the interesting history. 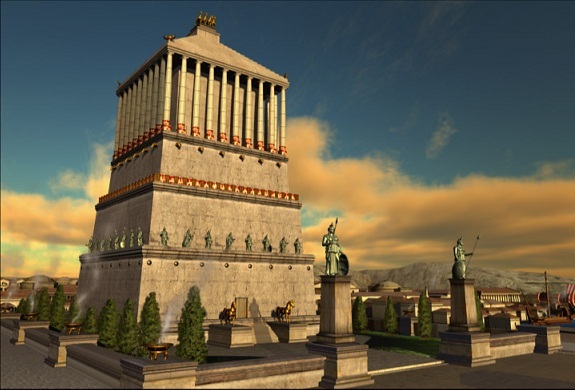 The word Mausoleum actually comes from Mausolus which literally means a grave above ground. As you can see Bodrum has some cool things to see and do in addition to good sun and good fun! Posted in Inspiration, Luxury Travel, Turkey and tagged with boating, Castle, clubbing, Historical Sites, marina, nightlife, Turkey, yachting. RSS 2.0 feed. « Great Family Holiday Getaway Destinations!